The 2012 crop consists of sixteen Better Boy, Red Beefsteak, Celebrity, Beefmaster, and Amelia varieties. I have room for a few more; I think I’ll try my luck with a few later-in-the-season, heat resistant varieties that won’t go into the ground until Easter or a bit later (Solar Fire or Solar Set or maybe Florida). I don’t generally bother with later-season tomatoes, but I do believe we’ll have a very hot summer this year. 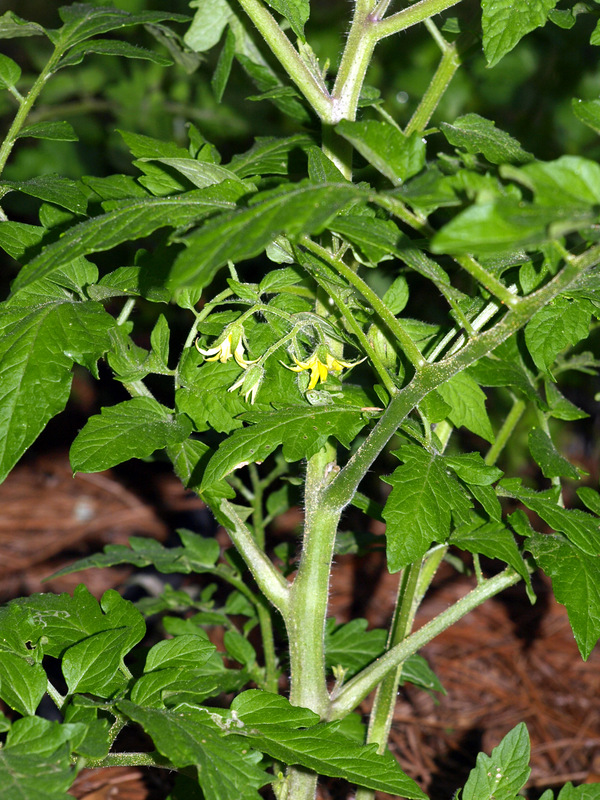 I don’t want to be tomatoless (due to nighttime heat) before the end of June! The tomatoes aren’t the only plants welcoming spring–all of my citrus trees are in full flower, and the fig tree has leafed out. Everything seems to be at least two weeks ahead of schedule….sure hope that summer’s overwhelming heat doesn’t arrive early, too. I’m headed outside to plant some habanero and jalapeno peppers, and I am trying to find space for some ‘Ichiban’ eggplant.